While there are so many people who still dreams of hitting the jackpot or buying a winning lottery ticket, the truth is it will just let them lose more and that most of us have to earn our fortunes with a combination of skill, dedication and opportunity. Whether you are contemplating a career move or a potential investment, a tarot card reading may reveal unseen forces that give you the insight needed to make a wise financial decision. When you are facing decisions that will impact your career and financial future, it is important to have as much information about the situation as you can to make a profitable decision. The meanings of the individual cards and the placement of the cards contain important messages that will help you clarify your opportunities. It is important to come to your reading thinking of your question. By taking the time to articulate your question, you will be in a better position to understand the message of the cards. Each deck of tarot cards is divided into the Major and Minor Arcana cards. The cards in the Major Arcana are unique and hold special influence over the entire reading. The cards of the Major Arcana indicate a time of great transformation in your life and will give you clues on the attitude or actions needed to make the most of your current situation. Additionally, the Minor Arcana cards are further divided into four different suites that represent the four elements. While each card of a suite holds a specific meaning, there are overall themes represented by the suit. 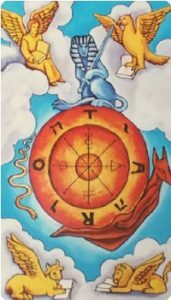 As one of the Major Arcana cards, an upright Wheel of Fortune may indicate that you are entering a new cycle that is ripe for success and good fortune. It reveals that you are facing an important decision that will set the stage for the upcoming period in your life. Representing the element of fire, Wands indicate high energy and enthusiasm that is vital to success in business ventures and negotiations. Pentacles represent the element of earth and are also called coins, deniers, disks or diamonds. 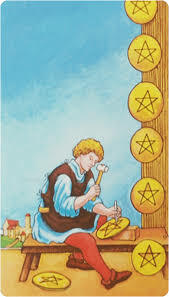 The appearance of pentacles represents service, duty and practicality. 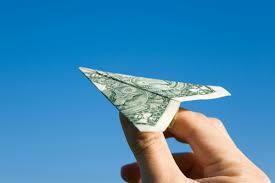 It is often associated with the material world including tangible property, real estate and fiscal matters. The element of water is represented by Cups and indicates an emotional and creative focus. If you are seeking clarity about a career change, an abundance of Cups may indicate success in careers that require creativity and sensitivity. Swords represent the element of air and indicate action and change that may be a welcome sign if you are going out for a new position or asking for a raise. 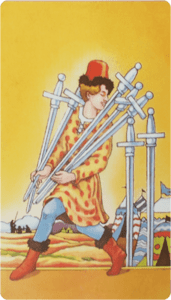 Additionally, the appearance of Swords emphasizes the use of rational thought over emotion and can be a sign to make your decision based on facts, rather than feelings. Previous Can Tarot Time Reading Help Us Live In The Moment Happily?